1. Open Microsoft Outlook. Select the Tools menu, click Out of Office Assistant. 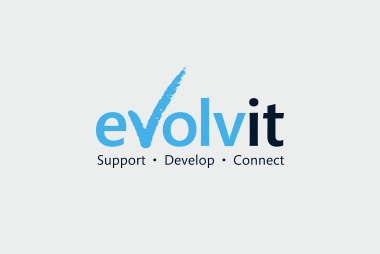 The Out of Office Assistant command does not appear unless you are using an Exchange Server e-mail account and you are in the Mail view. 2. At the out of office assistant window select the radio button “I am currently Out of the Office”. 3. 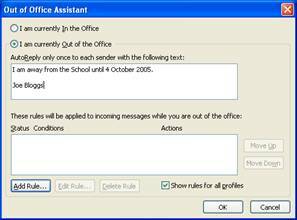 At the out office assistant window, you will see a text box under the heading “AutoReply only once to each sender with the following”. Click into the white text box below the heading and type the message that you want to send to back to any received emails while you are out of the office E.G “I am currently out of the office until next week”.